A touching modern fairy tale that won't let go of your heart, from the #1 New York Times bestselling author of the Fool's Gold romances Mathias Mitchell's easy smile hides a world of hurt. After the worst kind of family betrayal, he moves to Happily Inc., California--the wedding destination town supplies a steady stream of bridesmaids, perfect for his "no promises, no pain" lifestyle. Yet he can't stop watching for his beautiful, elusive neighbor on the animal preserve behind their homes.Gamekeeper Carol Lund knows she's not special enough to attract an alpha male like Mathias, so his offer to help her adopt a herd for her lonely giraffe is surprising--and his determined seduction, even more so. But just as she finally welcomes him into her bed, his careless actions crush her heart. 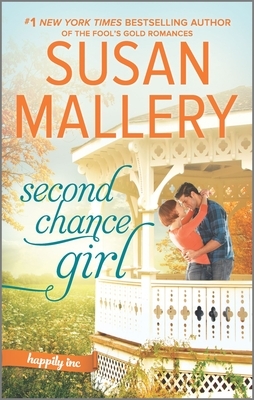 Will she give him a second chance to prove she'll always come first in his heart?